It is the worst home loss in the Zollinger era at Seward County. The Redlands, Oklahoma Cougars thumped Seward 87-58 Saturday night in the Green House in the Pepsi Classic. Redlands shot 61 percent from the field and shot mainly layups in the second half going 15-20. The Saints shot 27 percent. 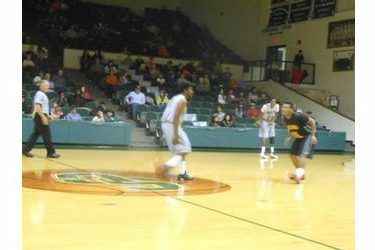 Seward actually jumped to a 15-5 lead but trailed 45-29 at the half. Redlands won big despite 24 turnovers. Kevin Sims led the Saints with 19 points. The 0-2 Saints play Odessa Friday at 5 in Midland and play Midland Saturday at 2.